What a fabulously relaxing weekend! We just hung out this weekend and enjoyed the rain. I love the rain, it's a great excuse to stay inside and play. 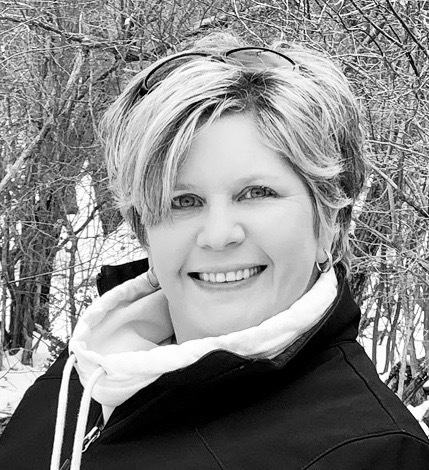 I even got a little work done on organizing stuff on my blog. I created those little images on the right side so it's a little easier to find some of my series videos and such. Here is your video for today. I was flipping through some of my 6x6 paper pads and came across the Fly a Kite and I couldn't help it, I had to use it.There are so many great little images on the Designer Calendar cartridges. I forget they are there. Adorable card. 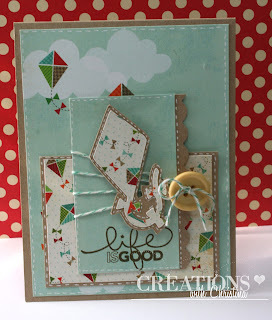 I love kites and that TT stamp set is my favorite!!! Such an adorable card. Have to check out AE stamps for sure. Great paper. Love the twine and button details. What a perfect summer card. I love that paper, the kite and especially the twine. You put everything together just right. I really like how simple you make everything look. Cute card. I really like your card Christina!! It is super cute and I love the paper pack!! Great job as always!! Lovely card Christina, the faux stitching just finishes it of nicely. CUTE card ~ LOVE the kites! I just bought that stamp yesterday! Archivers had 40% off all stamps! 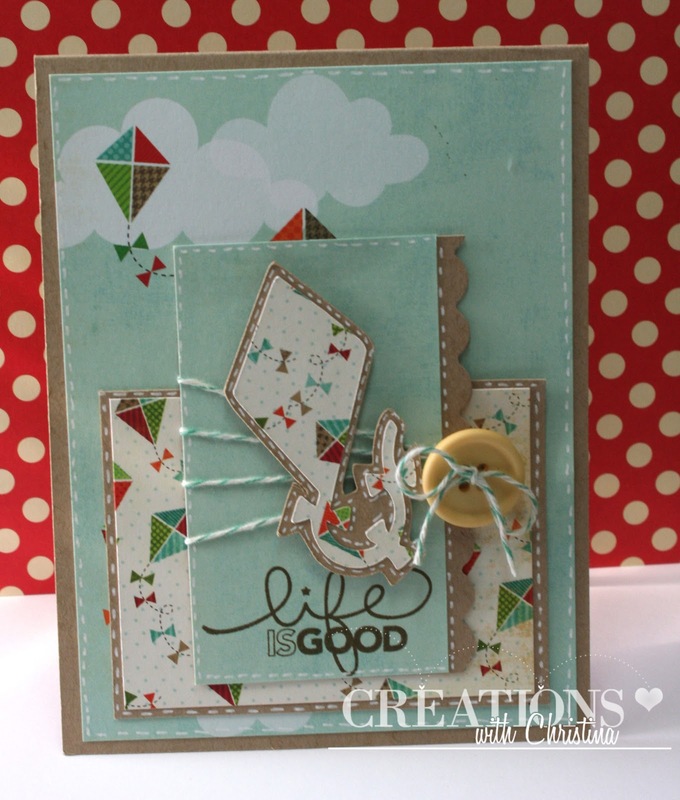 luv the card...I like the way you took several shapes & sizes for layering.